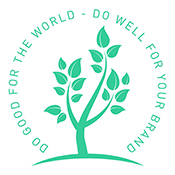 At Do Good Public Relations, not only do we care about our clients but we care about making the world a little better. Take a look at some of the organizations we give back to. Noah’s Bark is an all-volunteer 501(c)(3) non-profit pet rescue organization based in the Los Angeles, South Bay area. Noah’s Bark rescues all breeds. Some dogsare brought in as strays, but the majority come from LA area shelters, all of which are HIGH KILL shelters. They often rescue the most broken dogs from these shelters, the ones that would have little to no chance of being adopted by the public. Noah’s Bark gives these dogs a second chance at a new and loving life. Noah’s Bark is committed to finding permanent and happy homes for these unwanted and homeless pets. Founded in 1997 by Lila Hemmingway, it is now run by dedicated animal advocate, Shelly Gomez. Each year they rescue and rehome approximately 300 pets. Their organization does not have a shelter where all of the rescues are centrally housed, instead dedicated volunteers provide foster homes while the rescues await their forever homes. You can meet the adoptable dogs every Saturday from 12-3 p.m. at Petco 24413 Crenshaw Blvd., Torrance, CA 90505.